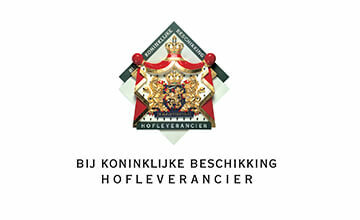 We are more than proud to wear the the honourable title of Purveyor to the Royal Household in The Netherlands. The title was awarded to CEO Arjan Akkermans in 2011 by H.M. Queen Beatrix during the celebration of our 200th anniversary. During the reign of King Willem I (1815-1840), the distinction of Purveyor to the Royal Household was awarded to various companies. It applied to enterprises which literally delivered to the Royal Household. After King Willem III came to the throne (May 12, 1849), the title was given a wider interpretation and actual delivery to the Royal Household was no longer necessary. The king indicated a fundamental principle of ‘awarding this right not only to those who stand out in their reliability and excellence’. The bearing of the Royal Crest should also be used as an award for ‘services rendered to the progress of trade and industry’.